All The World's A Fomite: Counterintuitive much? Meet McDonald's Sweden's new product. 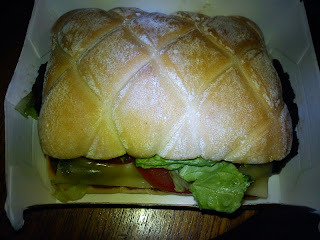 'M' is their attempt at a homestyle burger. While it looks different, I don't think it really stands out taste-wise. Lookie, what arrived in the mail today!